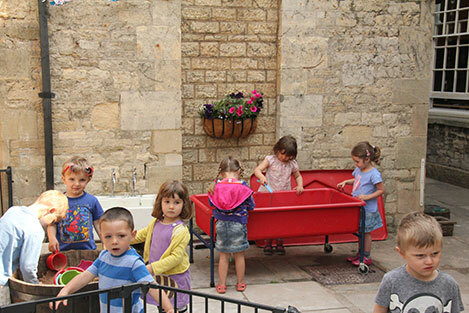 All children follow the Early Years Foundation Stage curriculum. 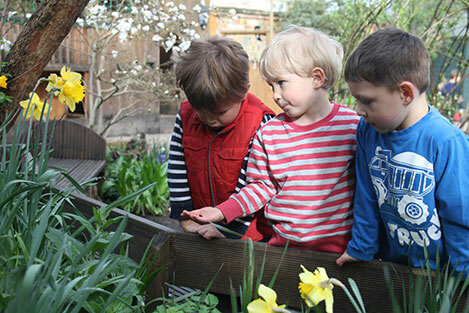 The four guiding principles of this are: The Unique Child, Positive Relationships, Enabling Environments and Learning and Development. 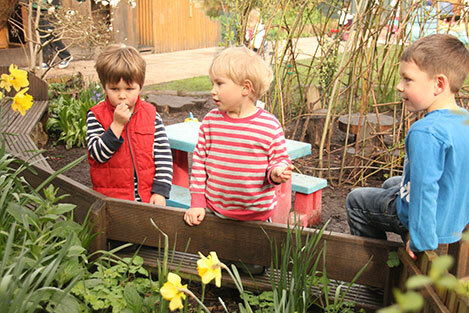 Within these principles we explore the children’s personal, social and emotional development, communication, language and literacy, problem solving, reasoning and numeracy, knowledge and understanding of the world, physical development and creative development. 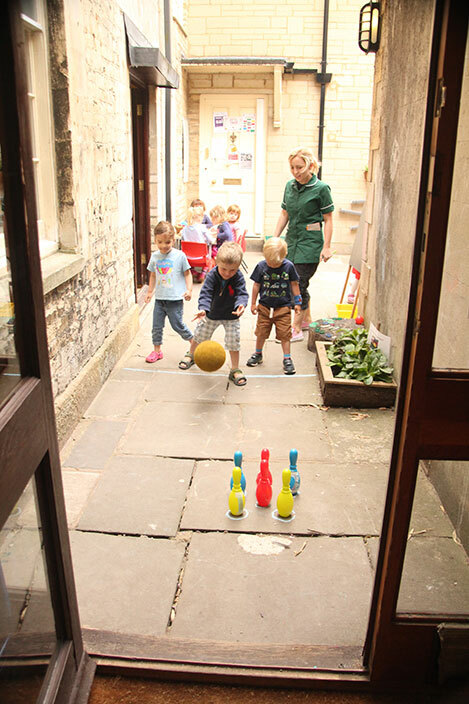 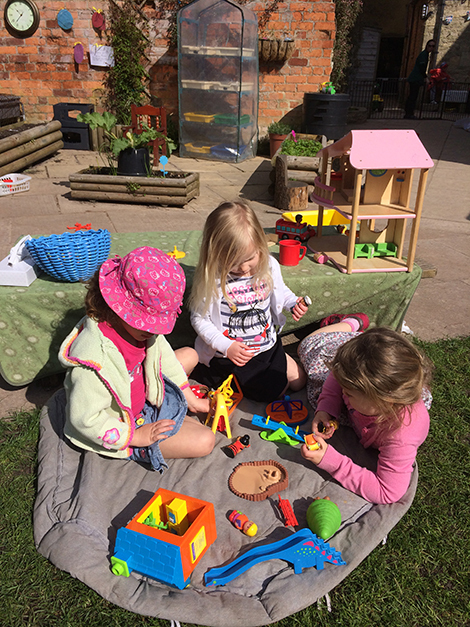 Creative play is central to the learning process at Acorns. 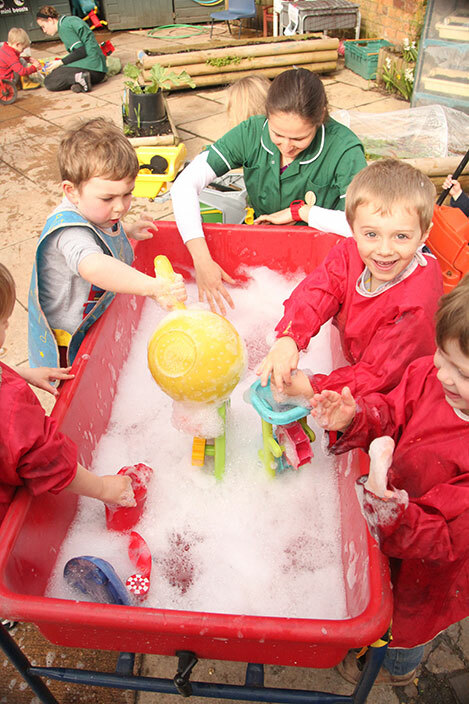 Practitioners follow the interests of the children and make provision for their individual developmental stage. 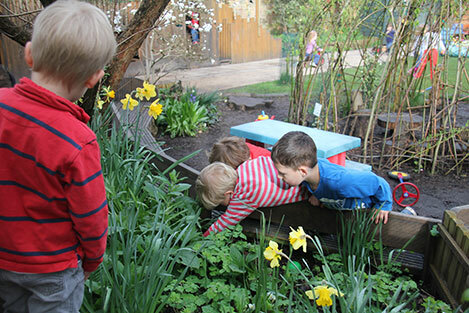 In addition to this, practitioners provide a range of opportunities and experiences to ensure that all the children access the whole curriculum. 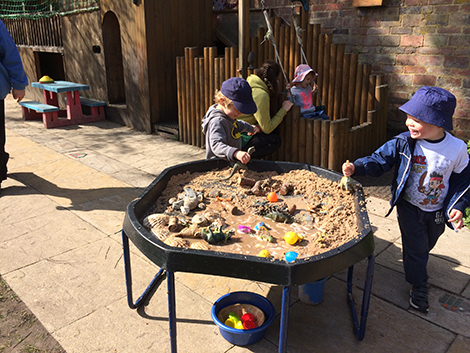 We aim to build firm foundations for future learning whilst still valuing childhood as a special place; ensuring that the children have time to follow their ideas through and explore their imagination and creativity. 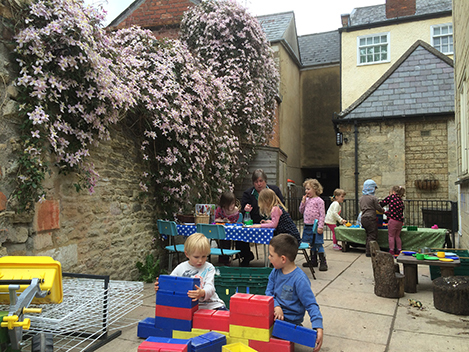 The Clematis blooms over the Preschool Courtyard Classroom in spring. 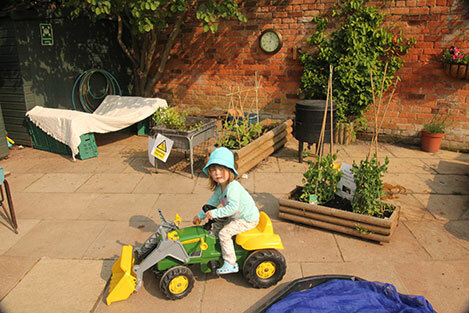 There's no area of the early years curriculum that can't be taken outside.